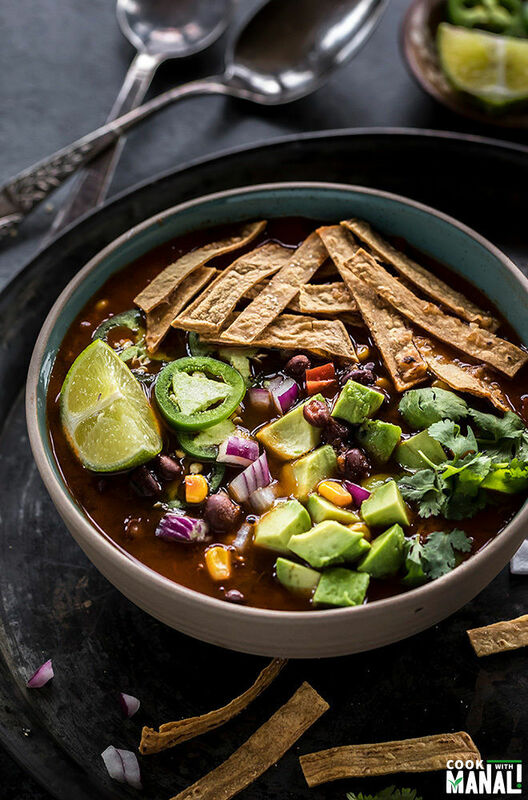 Spicy, flavorful this Instant Pot Vegetarian Tortilla Soup is packed with all the warm flavors! Top it with avocado, cilantro, tortilla chips for a comforting weeknight meal. It always surprises me how the weather changes so quickly. Only a few weeks back, I was comfortable going out for a walk at 6 pm but now I simply can’t go out at that time. It’s freezing and I have this aversion to cold. I get bad headache especially when I get exposed to cold winds. So now no more outdoor walks for me. I just do workouts inside my home or go the gym sometimes. Since it’s so cold, I have been making soups after soups for dinner almost everyday. 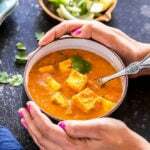 Sarvesh is not a very soup fan as such but if the soup if filling and packed with flavors like this Vegetarian Tortilla Soup, then he has no complaints! I have always loved Mexican flavors and tortilla soup has been a favorite. More often that not, I don’t get to have tortilla soup in restaurants and that’s because mostly they aren’t vegetarian. Either there’s meat in it or they have chicken broth in the soup. So when it comes to the tortilla soup, I need to make it at home. And honestly it’s so easy to make it at home whether you use the instant pot or the stove top. ✓ leftovers are even better the next day! ✓ loaded with toppings which makes it extra special! I made this vegetarian tortilla soup in my instant pot but you can very well make it on stove-top too. We start with sauteing some onion, garlic and jalapeno and then add in everything else and pressure cook. 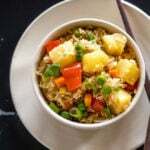 Really easy recipe, one pot and doesn’t need a lot of prep work! 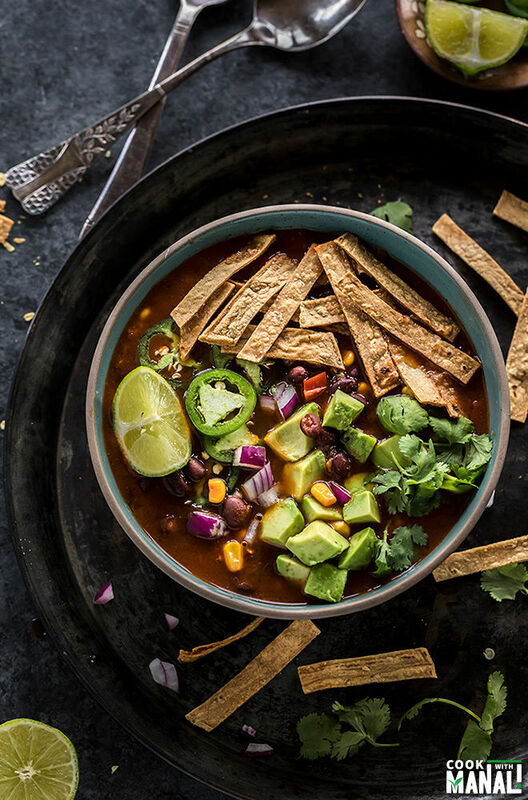 What Goes In This Vegetarian Tortilla Soup? * Two cans of black beans. You may replace one can with another can of bean that you like. * Salsa & corn! Adding a cup of your favorite salsa to this soup really enhances the flavors. I used a medium salsa which I like, you can use your favorite salsa here. * Lots of spices- I have used cumin, smoked paprika, ancho chile pepper, chipotle powder and red chili powder. 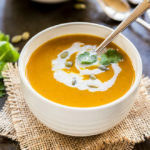 The smoked paprika and chipotle powder gives the soup that smokey flavor which I personally love! – sour cream & cheese! 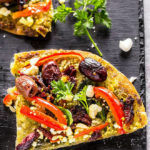 I didn’t use sour cream or cheese in this recipe and kept it vegan but you may of course add them. Out of all the toppings that I mentioned, the crispy corn tortilla strips are my favorite! And it’s really easy to make them at home. Just cut corn tortillas into 2 inch strips (around 1/2 inch wide each), like this. Then toss them with little oil and salt and bake in the oven at 400 F degrees for 12 to 15 minutes or until they are crispy. Remember to turn them once in between. You can obviously also use store bought tortilla chips in place. But either way, this topping is must! 1- Press the saute button on the Instant Pot. Once it displays hot, add the oil to the pot and then add the chopped onion, jalapeno, garlic and red pepper. Saute for 3 to 4 minutes until the onions are softened. 2- Add in the drained & rinsed black beans, diced tomatoes (which I pureed in a blender before), salsa and sweet corn. Also add the spices- cumin, smoked paprika, ancho chile pepper, red chili powder, chipotle powder and tomato paste (if using). 3- Add vegetable broth or water and also add the salt. Stir to combine. 4- Close the pot with its lid. Press the manual or pressure cook button and cook on high pressure for 10 minutes, with the pressure valve in the sealing position. Let the pressure release naturally. 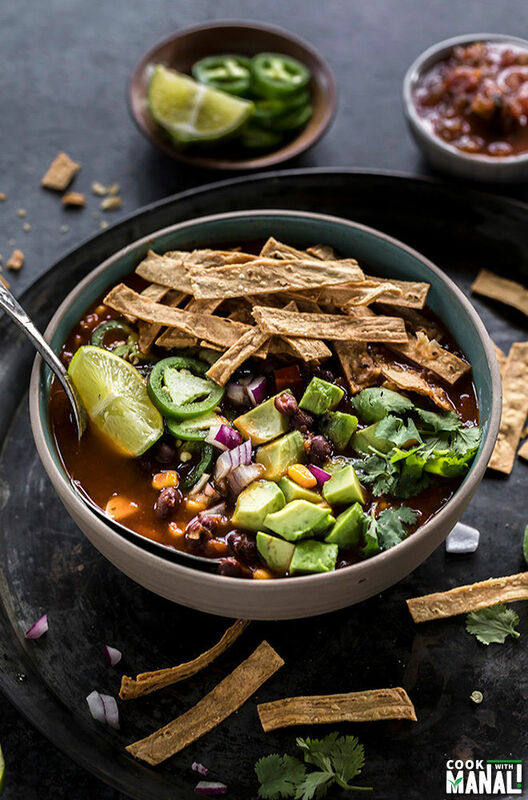 Open the lid, ladle instant pot vegetarian tortilla soup into individual bowls and top with the prepared corn tortilla strips, diced avocado, jalapenos, cilantro and enjoy! 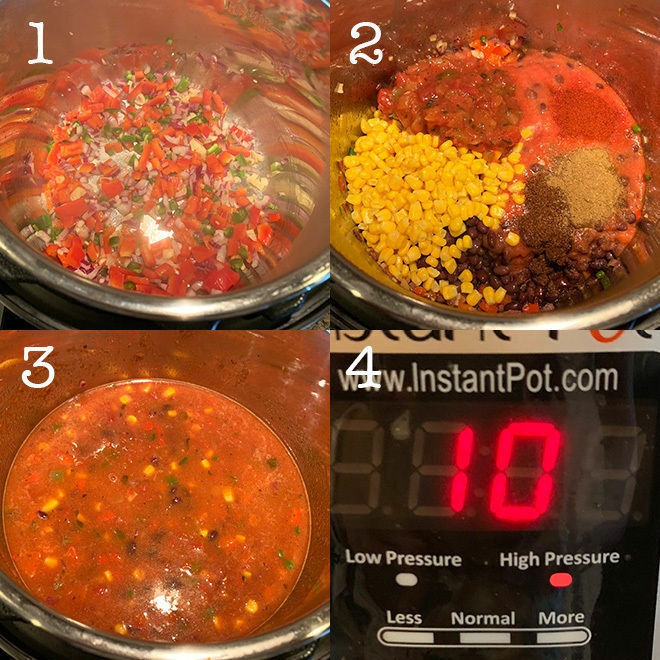 If you’ve tried this Instant Pot Vegetarian Tortilla Soup Recipe then don’t forget to rate the recipe! You can also follow me on Facebook, Instagram to see what’s latest in my kitchen! 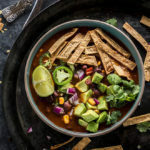 Warm, spicy and flavorful Vegetarian Tortilla Soup made in the Instant Pot! 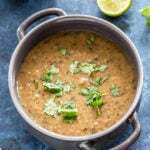 Topped with avocado, cilantro, corn tortilla strips, this soup makes a filling meal! Press the saute button on the Instant Pot. Once it displays hot, add the oil to the pot and then add the chopped onion, jalapeno, garlic and red pepper. Saute for 3 to 4 minutes until the onions are softened. Add in the drained & rinsed black beans, diced tomatoes (which I pureed in a blender before), salsa and sweet corn. Also add the spices- cumin, smoked paprika, ancho chile pepper, red chili powder, chipotle powder and tomato paste (if using). Add vegetable broth or water and also add the salt. Stir to combine. Close the pot with its lid. Press the manual or pressure cook button and cook on high pressure for 10 minutes, with the pressure valve in the sealing position. Let the pressure release naturally. 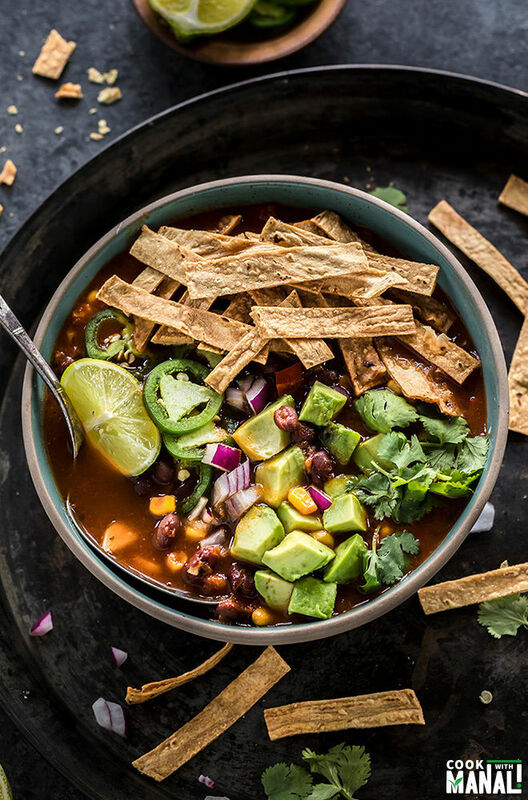 Open the lid, ladle vegetarian tortilla soup into individual bowls and top with the prepared corn tortilla strips, diced avocado, jalapenos, cilantro and enjoy! 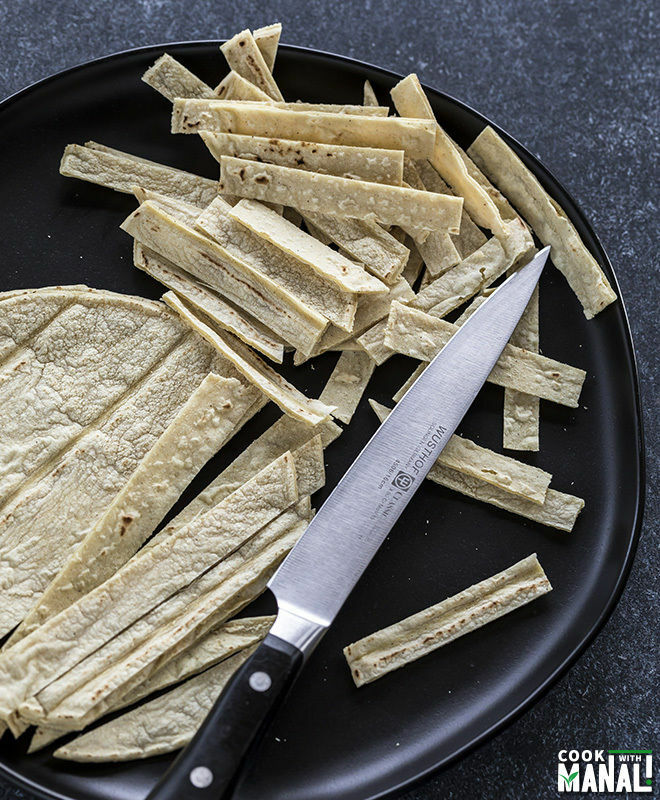 Cut each corn tortilla into thin strips, 2 inch long and around 1/2 inch wide. Toss the strips with little oil or spray with a oil spray and sprinkle salt. 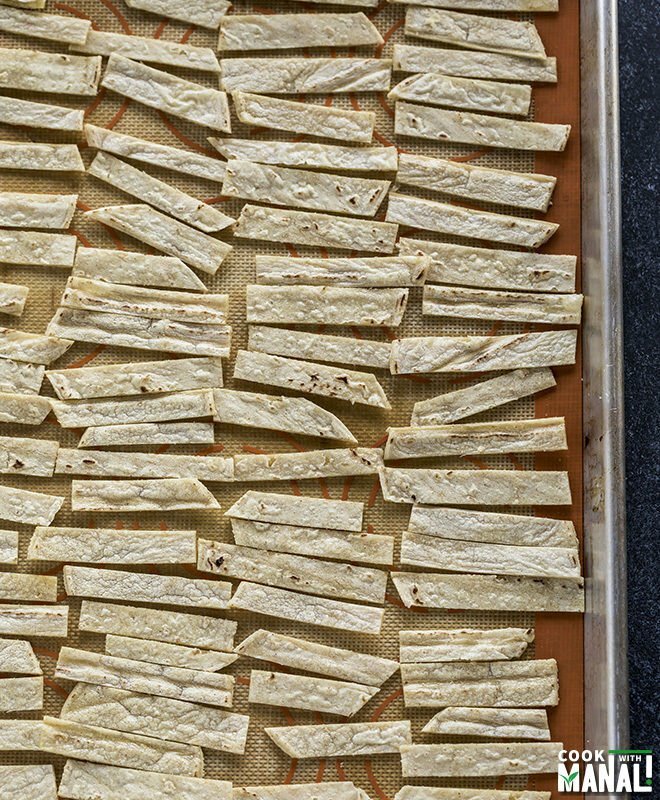 Place the strips in a single layer on a baking sheet lined with silicone mat or parchment paper. Bake at 400 F degrees for 12 to 15 minutes on until the strips are crispy. 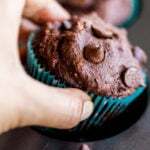 Remember to turn/toss them once through the halfway mark. If making the soup on stove top, follow all the steps as it is. But in stead of pressure cooking, once you have added all the ingredients let the soup simmer for around 20 minutes. I will be using 2 c of dry beans instead of canned. Should I increase the time and liquid amount? 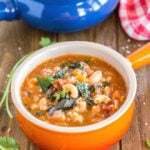 2×15 oz can usually means 3 cups of cooked beans..you are using 2 cups dry beans which will be around 4-5 cups cooked beans, have you soaked them? I recommend soaking them in hot water for at least 1 hour and then pressure cook for around 20-25 minutes..
SOOO good! As a vegetarian, I have almost never been able to enjoy this soup in a restaurant, as you mentioned. Frustrating, because I love it! I couldn’t find any chipotle powder or ancho powder, so decided to try making my own from dried peppers in my spice grinder. It was so easy, quick and smelled amazingly fresh. In case it helps anyone else, in my local store, the dried chipotles are actually called “morita” peppers. Learned something new! 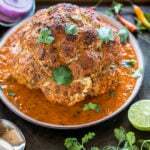 Thanks for this great, flavorful recipe, Manali! Right? It’s good to have a vegetarian tortilla soup recipe 🙂 Glad you enjoyed it!